SORRY NOW SOLD. MORE REQUIRED. JUST 17,000 MILES FROM NEW & 2 P/OWNERS + JUST HAD MERCEDES BENZ MAIN AGENT HEALTH CHECK. 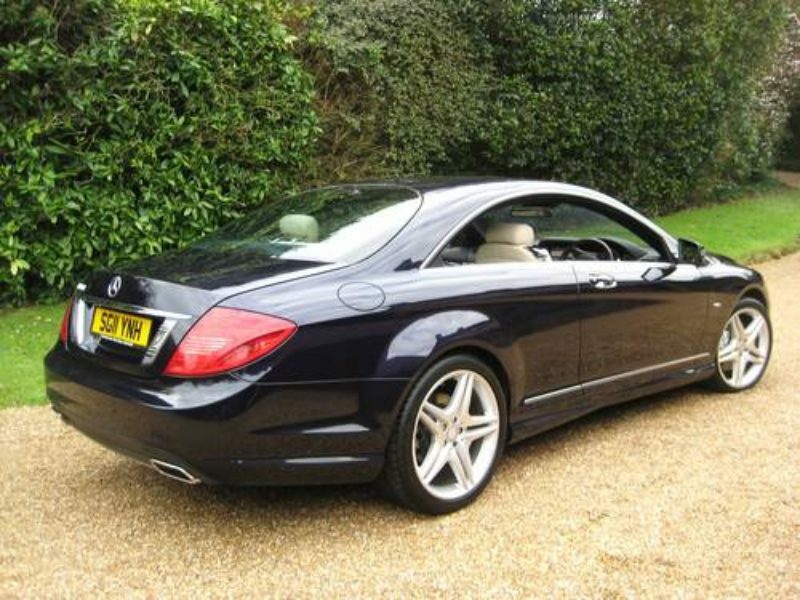 MASSIVE SPEC CL500 finished in very rare Tanzanite Blue Metallic with Full Sahara Beige Passion leather. 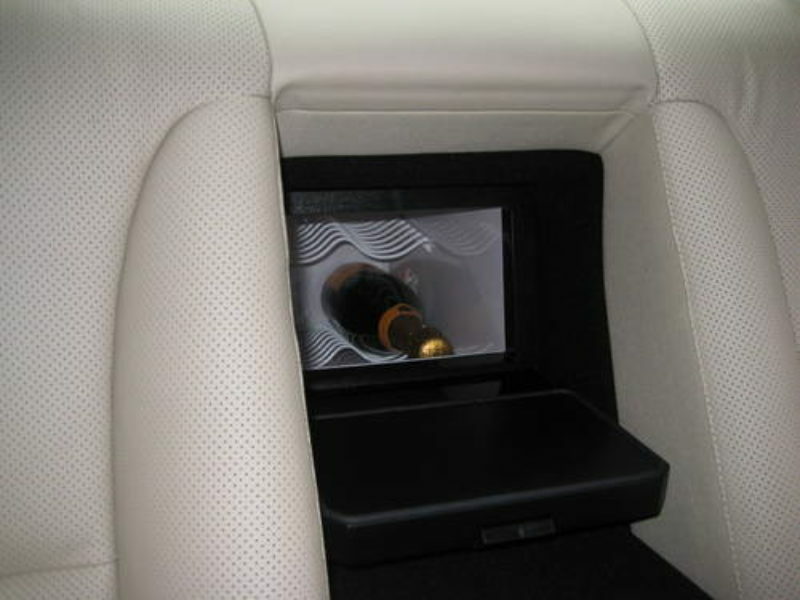 Specification includes electric glass sunroof, hard disk drive navigation system, Bluetooth interface, Linguatronic voice control, DVD player with headphones & remote control, Harman Kardon logic 7 surround sound system, night view assist, refrigerator between rear seats, comfort heated/ventilated front seats with memory settings, rear headrests – pneumatically raising, start/stop function, garage door opener, Speedtronic cruise control, luxury auto climate control, wood/leather trimmed steering wheel, High Gloss Burr Walnut interior trim, ISOFIX child seat system, ambient lighting, soft close doors, tyre pressure monitoring system, reversing camera, front & rear Parktronic, remote boot lid, unmarked 20″ AMG alloys with matching Continental tyres, AMG bodystyling, fitted AMG carpet mats etc. 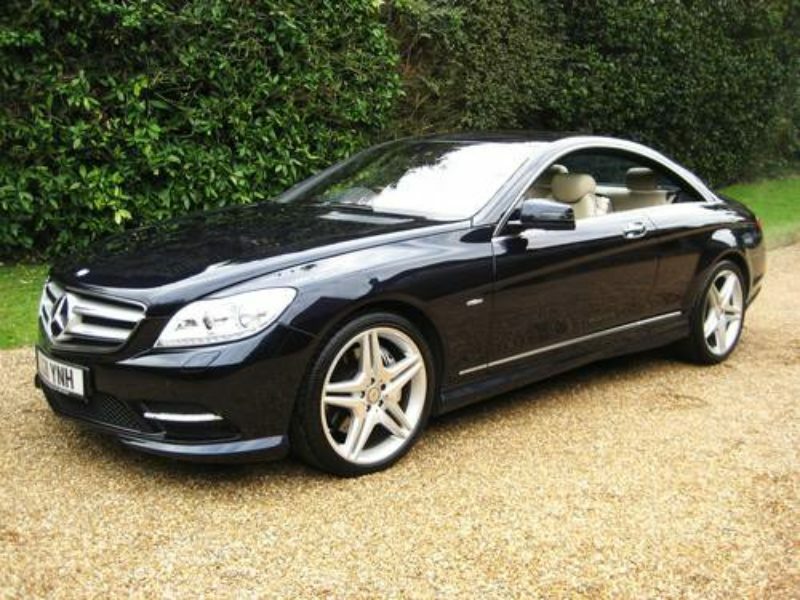 Supplied new & fully serviced every year regardless of mileage by Mercedes Benz of Glasgow. 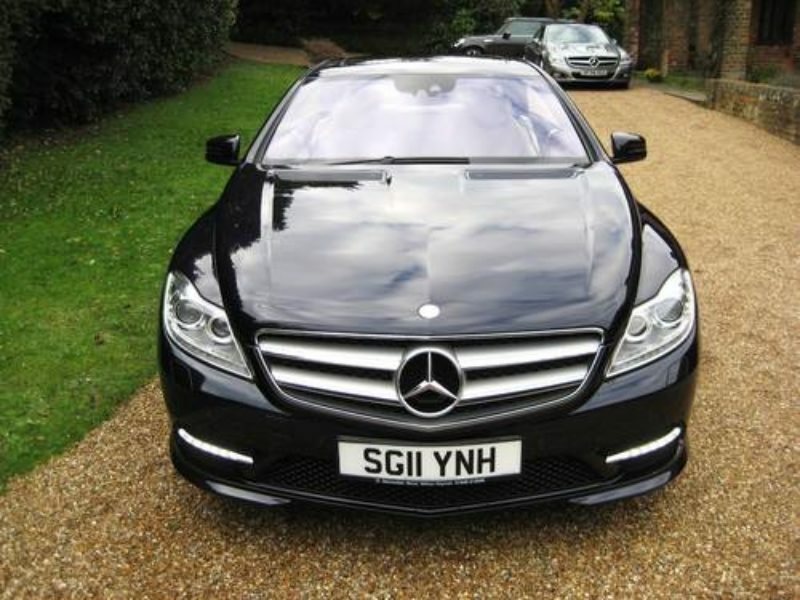 Complete with digital service report + owners book pack & both remote keys. 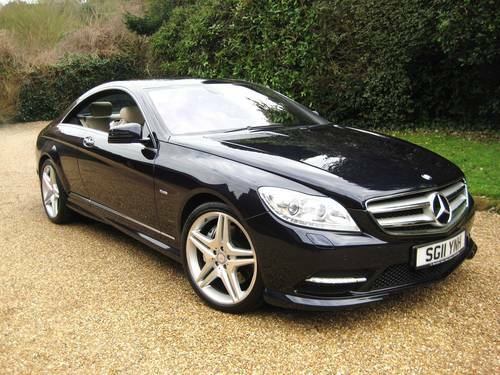 THIS IS AN ABSOLUTELY STUNNING LOOKING VERY LOW MILEAGE EXAMPLE FINISHED IN A BEAUTIFUL COLOUR COMBINATION.